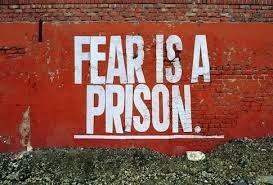 One definition of fear is an unpleasant emotion caused by the belief that someone or something is dangerous, likely to cause pain, or a threat. 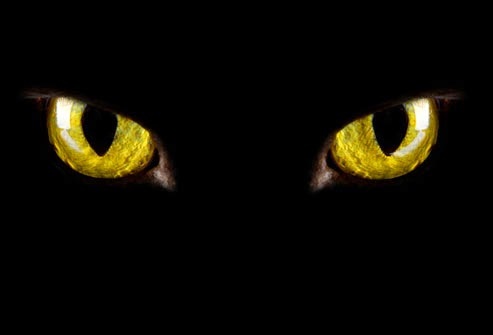 Fear is a part of our nature, we acquired it as needed to in order to learn how to survive as a species. But outside of those types of rational and logical fears, there are things we may face that if we learned to understand them it would alleviate a lot of fear in our lives. This whole thought came about because of some interesting energetic events I have been having recently. As I was sharing the experiences with a friend, she adopted a fear mentality. Next thing I knew, she was telling me to get “prayed up”, that there was “something with me” and that what I was experiencing was part of “spiritual warfare”. No doubt my friend loves me and was concerned for me. However I identified that these were her fears, not mine. Not once during the conversation, did I ever allude to the fact that what I was going through was scaring me. I did not feel as if I was unprotected, actually I have always felt very safe and secure during my entire experience so far. I am coming to an understanding that everything I am experiencing is important. It is my journey and these are my lessons to learn for my spirit to grow. However this whole conversation with her helped me to realize how I have become unafraid of a lot of things. I believe I have learned to face the things that scare me head on and not flinch. Facing our fears helps to overcome them. Effectively dealing with the things that scare or make us uncomfortable make us stronger and more resilient. In the past few years, I have faced some pretty scary scenarios. There were the “How to Leave An Unhealthy Relationship With Your Sanity Intact” and “Escaping a Controlling Belief System And Survive Shunning” boogeymen. Those are monsters I could see, I faced and eventually overcame. As I have grown spiritually, I have also faced “The Boogeymen of the Unseen Kind”. I will not lie, initially they were very scary. I wondered why on earth I was attracting things like this if I was so full of light. I realize now that I am like a new born star in the center of a darker universe. The minute I lit up, all kinds of things wanted to see what I was all about. I have learned to look at these experiences as elements or variations of darker energy. I see them as people and in real life I have no reason to be afraid of them. I just keep a safe distance and if I am approached I issue a stern warning that they need to stay away and that their energy in not welcome. The best piece of advice that I ever received was not to be afraid of anything that presents itself to me. Did Jesus, whom I consider completely enlightened, ever flinch when the Devil presented himself to him? No. As someone who desires to help others on their awakening journey I have to be open. I asked for this openness. Along with that came all kinds of experiences with different aspects of dark and light. I have a healthy respect for all energy and its variances. But why do I have to fear the dark? In truth, how can I help anyone if I do not face the things that seem scary? How can you understand something if you are constantly running away from it when it presents itself to you? Pema Chodron made a statement that has always resonated with me. She said: “Nothing ever goes away until it has taught us what we need to know.” With that mindset I face my fears; seen and unseen. It means taking action against whatever it is that I find frightening. It means not hiding under “the covers”, because I am a big girl now! When something or someone scary presents itself to me, the minute I feel the fear rising, I step up my fearlessness game. What can you do to get the best out of facing and overcoming your fears? One way is to identify what is creating the fear. Having a healthy sense of curiosity helps too. To beat something you have to understand it, and that’s where a person can learn things about what they fear the most. Know that you can overcome anything you are afraid of, that it simply boils down to desire. When faced with the initial feeling of fear, use that emotion to break through it. Mahatma Gandhi said: “Fearlessness is the first requisite of spirituality. Cowards can never be moral.” You can’t be afraid if you are going to walk this walk. There will be situations that will scare the daylights out of you. 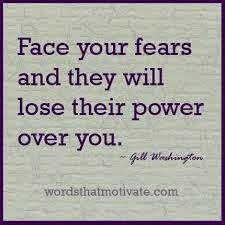 But if you don’t look at what you are afraid of directly in the eye and face it down, it will always have power over you. If you want to walk in your power, you cannot be afraid of anything.